Don’t let pesky obstacles get in the way of building a healthy, happy life! 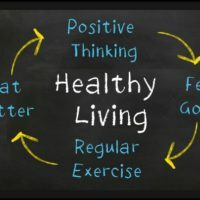 Here are a few things that often go awry when trying to stick to a new and improved lifestyle, and creative solutions to get passed them! Speed Bump #1: Not making fitness and a healthy diet your top priority. When we’re overworked or lacking free time, squeezing in fitness and healthy eating can easily fall to the bottom of our to-do list. Even though it can be tough at times, remember that fitness and a nutritious eating plan can help lower your stress levels, decrease your chances of chronic disease, and put you in a better mood! If you’re still feeling pinched for time, start with small goals to get back on track! Even if it’s just a small walk around the block after work, get out and do it. Slowly add 5 minutes each week until you’re back up to 30 minutes. Speed Bump #2: Forgetting to prepare for workouts. Planning ain’t easy– but luckily there are a few easy fixes for this little problem. You can pack your bag the night before in case you hit the snooze button one too many times. You can store backup fitness gear in your office or car so that you are always prepared. You can also try renting locker space at the gym so you’ll always have the things you’ll need. A locker will also help you make the final decision to go to the gym. Hey, some people (ahem) even sleep in their yoga pants to make sure they get up and hit the mat first thing! Find a solution that works best for you and your daily living. Speed Bump #3: Drinking too much alcohol and recovering from a hangover. Ugh, we’ve all been here! Nothing rains on a fitness-day-parade like a night of poor sleep and a wrenching headache the next morning. To prevent this from happening, start out with a glass of water before and after that one alcoholic drink of the night for ladies and up to two for men. Staying ultra hydrated is key to warding off a hangover! It will also slow down the rate at which you are drinking so you are more aware of how much you have had. If you know you have a long night ahead, try drinking light beer because it has a lower alcohol content (and all of that liquid may make you feel full faster, which may help you drink less). Eat a balanced meal before or during the time you are drinking to help slow the absorption of alcohol and prevent you from going overboard.